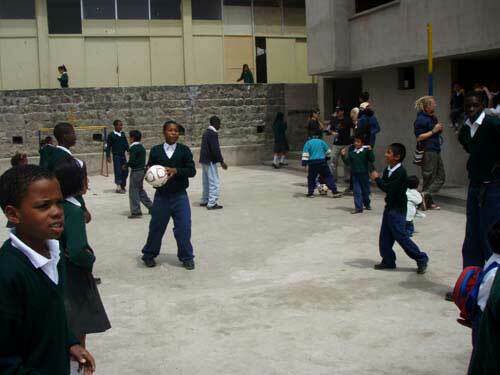 1/17 Natalie volunteered in an orphanage in Quito, Ecuador. 2/17 This is all of the extended family of my host family. This was my last day in Ecuador. I lived with a couple and their teenage daughter. It definitely was an awesome way to learn Spanish and really learn the culture of Ecuador. They treated me like I was their own family, and the last day was an emotional one for sure. This is after almuerzo, which is the biggest meal in the middle of the day, and a lot of family came everyday. 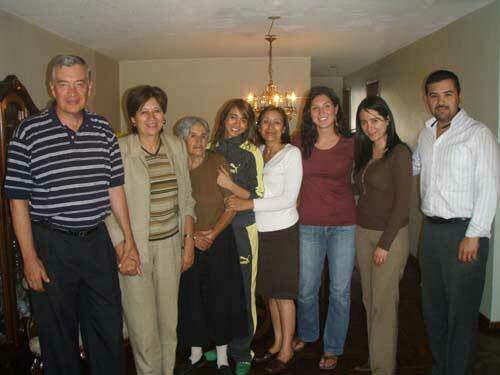 Family is central to life in Ecuador. 3/17 I was very lucky again to have such a great family, they invited me to go with them wherever they went if I wanted to go. 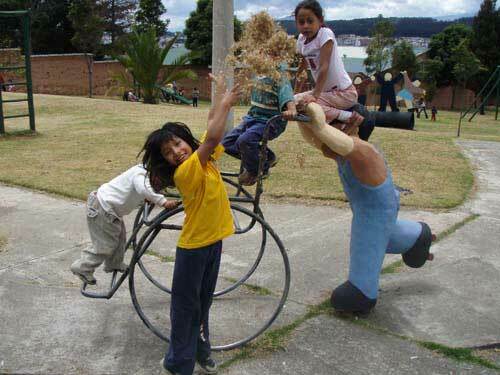 This is at a beautiful park in Quito, overlooking the city. As you can see, Quito is massive, and surrounded by the Andes mountains. I am very thankful I was in the city, even though the smog and pollution could get to me sometimes. There was a lot going on and a lot of things to see. 4/17 This is the house I stayed in with the Silvas. They lived in the upper floor, and another family lived in the lower floor. The accommodations were very nice, although many people in Ecuador do not have such nice houses. It was neat to see some of the more simple ways of living, or traditional, like clothes washing. A lady came to wash the clothes once a week, and washed them on a washboard all day long and left them hanging to dry. 5/17 View of the orphanage from the outside. 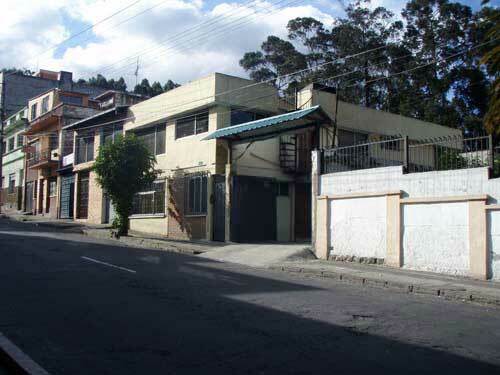 It was almost at the corner of a main intersection in Quito, and quite close to my house so I could walk everyday. There were about 40 children along with some mothers that lived there, and many more children for school. 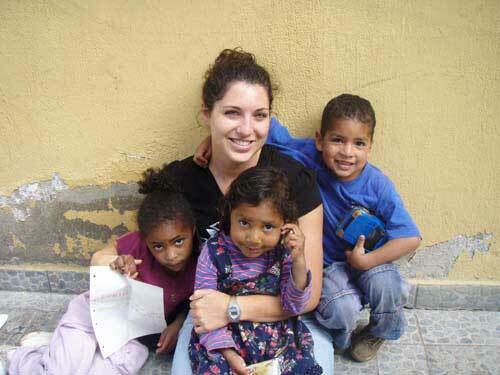 I usually just volunteered in the mornings, and there were other volunteers from many other programs and countries. 6/17 I am here with three of my favorite kids (Karen, Ruth, and David) during the summer. At REMAR, there isn't too much to do during the summer. You have to be very motivated to create games and play with the children, or offer to help some of the ladies with the housework. It was very rewarding being there during the summer however, because I had the opportunity to get to know all of the children, instead of just the class I worked with during school. 7/17 We had a party for one of the girls who had been there for a month. We played music, danced, and played games. It was a lot of fun, and it was great to see the kids so happy. 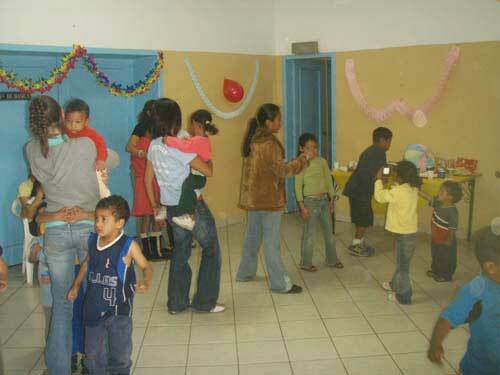 This was one of my favorite days at the orphanage. The only problem is, the children ate way too much candy! 8/17 This is with a lot of the kids, and one of the ladies who helps at the orphanage. The younger girl was another volunteer from Japan. There are a lot of people who do Spanish school in the afternoons and volunteer in the mornings. I thought about doing Spanish school or taking lessons, but working at the orphanage and living with a family is about as much immersion as you can get. 9/17 Most days during the summer we stayed at the orphanage, but there were 4 or 5 days during the summer we went on field trips. This is a picture from when we went to a military plane place right beside the airport. We got to see inside old fighter jets like the one behind us in the picture. We also enjoyed popcorn and watched the planes take off from the airport. It was always great to take the kids out in the city, because they are in the orphanage day in and day out, and there isn't that much to do there. 10/17 During the summer we also repainted all of the rooms and the tables. They hadn't been painted in a long time, so it was awesome to be able to provide that kind of help for the people there and the children. For the most part the volunteers solely prepared the walls and painted, but every now and then some of the kids wanted to watch or help, so I let David help me scrape the old paint off the walls in this one. Naturally, like children do, a few minutes later he was outside playing again. But we were always thankful for the help they gave us! 11/17 This was a day we went to swim in an outside pool. It was a bit of an excursion. 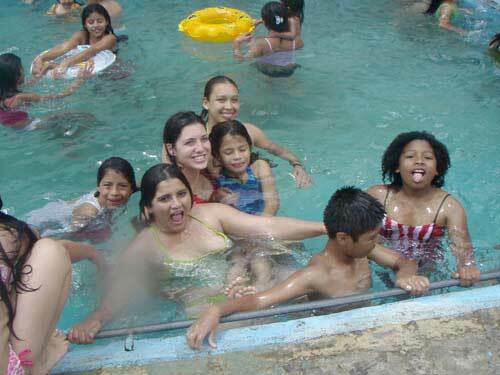 We had to take about 4 different buses, and the pool was an hour away from Quito. But nevertheless, the kids had a great time, and we were worn out from all the fun and falling asleep on the bus returning to Quito. These were the days when I realized how much I was going to miss the children, and how much of a blessing they were. 12/17 We went to this park twice I think, and it was a lot of fun. There was a basketball court and soccer field. You could see how quickly children grew up in this atmosphere. The older children and teenagers would usually lead the way to the park, bring snacks, and help discipline the children. They were a lot of help, but I wished they could just enjoy their youth more. 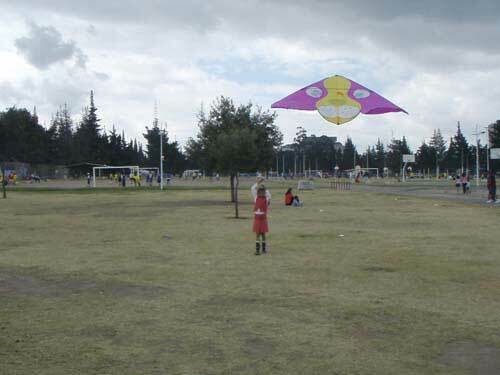 13/17 I brought one of the girls, who had been begging to see my house, home with me for almuerzo and to fly a kite at the park. Jessica and I had such a great time, and it was an amazing opportunity to give her just for a day what kids usually don't get in the orphanage. Jessica had 6 younger brothers and sisters, and even though she was only 9 years old, she had to take care of them and not play outside many days. She, like many children there, crave individual attention from adults, and it is so easy and rewarding to step up and play our part in this world. Working here definitely made me yearn to adopt one day, or help the disadvantaged by working hands on with them again. 14/17 This was my last day at the orphanage. I worked with the second grade class, though only for two weeks. School began at the beginning of September, and I was there mostly for the summer. It was a completely different environment during school, and I'm glad I got to experience that too. I got really close to my kids just during those two weeks. There were two other volunteers helping with the class, and we just helped the children, passed out materials, and whatever other tasks the teacher needed help with. 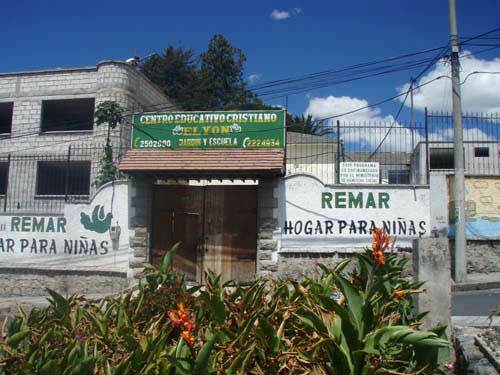 There are children that come from the other REMAR orphanage in a town close to Quito, and other children that come from the community that live with their parents to the school there. 15/17 Here are all the kids outside playing during the hour recess they had each day. 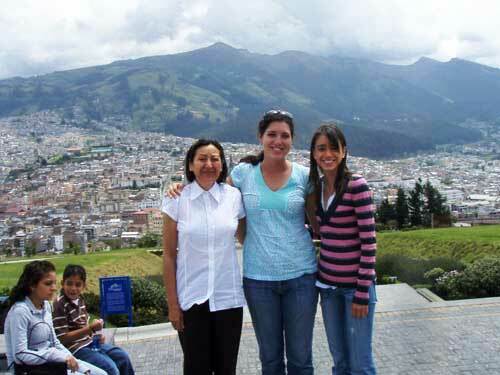 16/17 Here I am traveling in Riobamba with two other ELI volunteers, Katie and Amber. We just happened to stumble upon this indigenous dancing group, and they gladly took a picture with us. 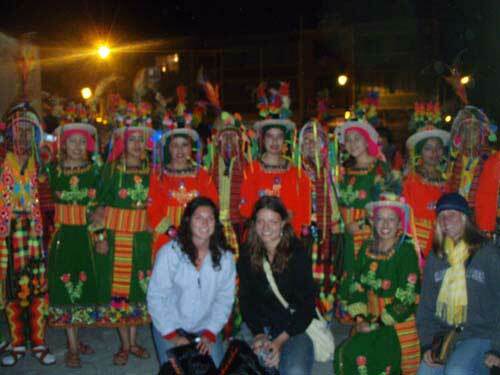 One of the great things about Ecuador is that is so rich with culture. You see indigenous people dressed in their traditional clothing and going about their life all the time, even in Quito. 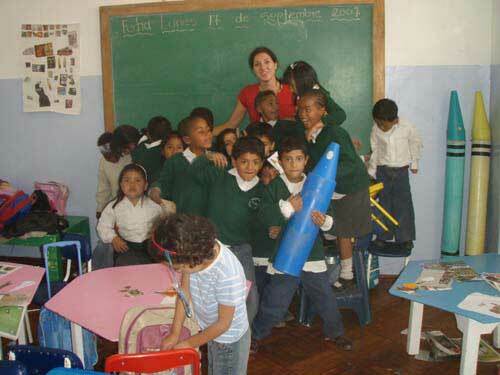 Also, people were always so nice and willing to help you with whatever you needed everywhere in Ecuador. 17/17 One of the stands in Otavalo in their huge market on Saturdays. Otavalo is only 2 hours away from Quito, and everyone who visits Ecuador should go there. During my visit there, I saw the President of Ecuador, and enjoyed the parades for the festival Yamor that took place that weekend. 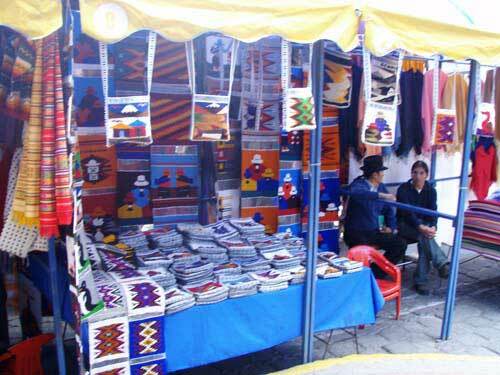 Otavalo is rich with indigenous life, and the perfect place to buy souvenirs! In summary, this was one of the best experiences in my life, and ELI played a big part in making that possible. I would suggest to everyone to consider one of the programs. Ecuador was a phenomenal choice, I can't wait to go back and visit! 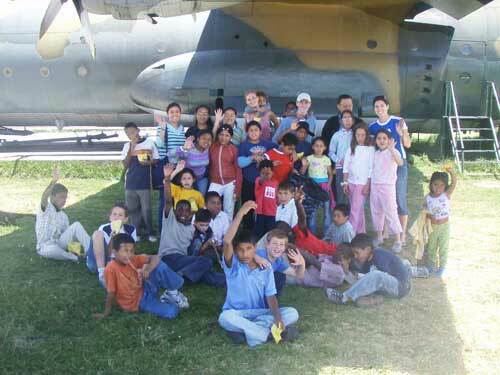 My host family, the children, Quito, and the traveling all combined for an unforgettable experience.